Purchasing a home is one of the most important decisions you'll ever make. This calculator will help you create a savings plan towards your home purchase down payment. 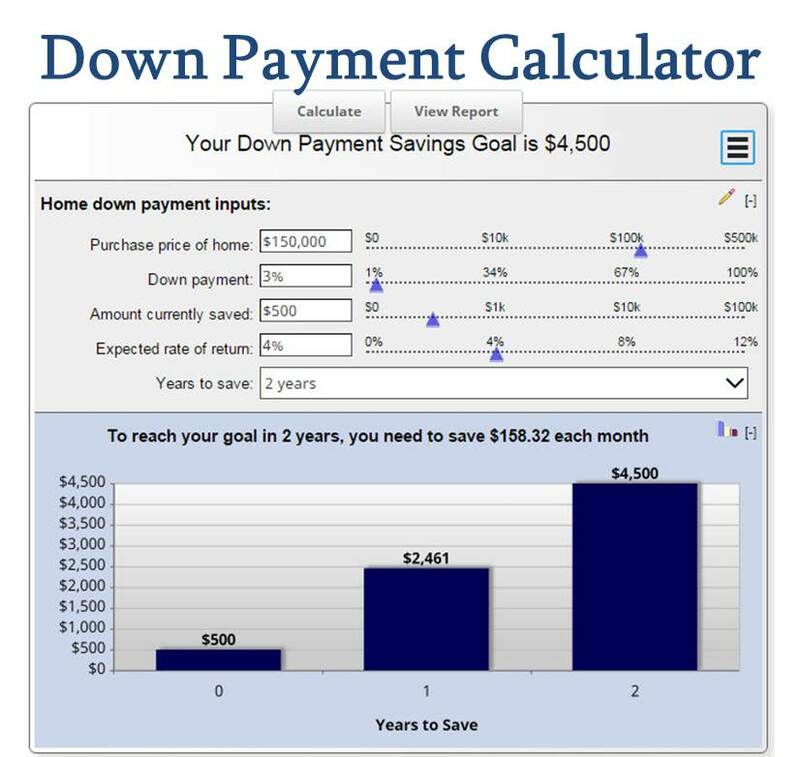 Simply use your purchase price in the down payment calculator to calculate how much you need to save each month. Fine-tune your plan by adjusting any of the inputs including purchase price and the number of years you wish to save. Related Article: 'How much house can I afford?"